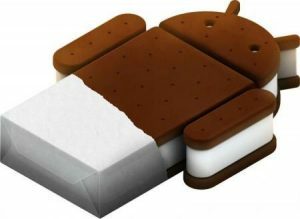 HTC will upgrade eight current devices to Android 4.0 Ice Cream Sandwich in the first wave of updates, the device manufacturer said on Monday. The latest version of Google's mobile operating system was announced in mid-October along with the Samsung Galaxy Nexus -- the first Android phone to run ICS natively -- but current Android phones will have to wait several months for the upgrade. Relying on its partnerships with carriers, HTC will upgrade the following devices to ICS: the EVO 3D and Design 4G on the Sprint Network, the Vivid on AT&T, and the Amaze 4G and Sensation on T-Mobile. For the Sensation, the XE and XL variants will also get the upgrade. In addition, the upcoming HTC Rezound will be upgraded to ICS. That phone will launch on Verizon's network on November 14. "We're continuing to assess our product portfolio, so stay tuned for more updates on device upgrades, timing and other details about HTC and Ice Cream Sandwich", the company writes in a post to its Facebook page Monday morning. Devices will begin to receive the updates in "early 2012", although the manufacturer did not provide specific dates. Other phone manufacturers have also announced their plans to upgrade devices in the new year. Motorola says its RAZR and Bionic will get ICS, while Samsung will bring the update to its Galaxy S II and Note.